Sara Grant–What Was on Her . . .
I’m thrilled to welcome our first ever Londoner—Sara Grant! Sara is a self-described ‘writer of multiple personalities,’ penning both the adorable and the edgy. Her books range from the Magic Trix series, to her most recent YA, the futuristic Half Lives. But Sara doesn’t stop there! She lectures, teaches writing, blogs as part of The Edge, and is the cofounder and coeditor of the Undiscovered Voices Anthology. Believe it or not, there’s more! But I’ll hand things over to Sara now and let her walk you through the whirlwind that is her life. I’m a list maker and goal setter. I write down personal and professional goals each year, and I don’t get out of bed without a to-do list each day. I love the satisfaction of checking off items so I list anything and everything. In college I recall having a master list of my lists around finals time. I currently have a to-do app on my phone for my long-term reminders, but I prefer the good ol’ pencil and paper list. 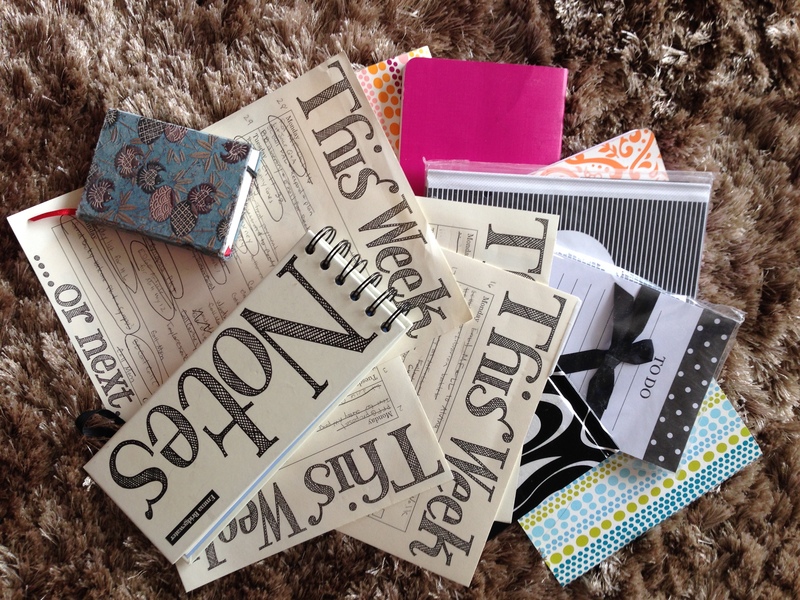 I gathered my to-do lists as well as any notebooks in arm’s reach and took the photo below. I thought I’d share what was in and on each. I caution you to read at your own risk, this snapshot of my brain may cause nausea and confusion – or maybe that’s only for me. Anyway, here is What Was on My . . .
My writing goal always comes first. There’s the novel I’m working on – right now it’s a YA novel titled Mind Fields, which I’ve pitched as reality with a twist – and then the development of what’s coming next – I’ve got a few ideas for a tween series and the mystery/thriller series I’ve always wanted to write. Next comes any promotional activities from guest blogs to school visits. My goal is to take part in 35 events this year. I’m already up to 31. Writing can be a solitary process so I like to collaborate with other editors and writers. I work behind the scenes as a plot editor on a series of teen romance novels. I am a guest lecturer on writing for young readers at Winchester University. I work with three friends who are also writers and editors on Book Bound – www.bookboundretreat.com – offering writing courses for adult writers. I also help edit and produce Undiscovered Voices – www.undiscoveredvoices.com – an anthology that highlights up-and-coming writers and illustrators. And I like to host events and activities with other writers through The Edge – edgeauthors.blogspot.co.uk – eight, UK-based writers who write edgy teen fiction. My to-do list always includes activities with my family and friends. I call my mother in the US a few times a week. I love to ‘do lunch’ with friends and try to meet up with someone at least once a week. Tiny notebook: It was a birthday present from a dear writer friend. I tuck it in my purse and write down story ideas when they pop into my head. I think overall if I don’t write it down, it never will happen. When I’m stressed, all I need to do is write down my to-do list and suddenly it feels manageable-ish. I save my to-do lists and notebooks for a while. I suppose they are my own kind of diary. And then there are those days when you forget the to-do list and read a book or watch six episodes of my fave TV show Castle instead. 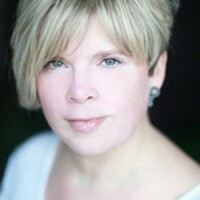 To keep up to date with Sara Grant, follow her at sara-grant.com and on Twitter at @AuthorSaraGrant. If you haven’t read the Magic Trix series, you can order the latest by clicking below. And please plan on stopping by again on August 20 for Matt de la Pena, author of five critically-acclaimed young adult novels—Ball Don’t Lie, Mexican WhiteBoy, We Were Here, I Will Save You, and The Living. Tags: A Writer's Process, books, Half Lives, Magic Trix, Sandra Nickel, Sara Grant, The Writer's Life, Undiscovered Voices, What Was on Her, What Was on My, Writing. Bookmark the permalink. OMG I love Sarah Grant!!! Sandra, thank you for this interview of Sara Grant. I’m interested in authors who write across genre and age guidelines because I’ve always wondered if I must choose between YA or middle grade, between contemporary realistic and fantasy. Michelle Knudsen is also a great example, as is Tim Wynne-Jones. As for illustrators, the diversity of LeUyen Pham’s work is staggering. And these are just 3 that jump to mind right now. I know there are many others. So, Laura, indulge the dilettante within. I love Sara Grant. She is the reason I took the plunge and rewrote my middle grade in first person, or rather, first chicken and oh, what a difference it has made. Sara truly rocks! A kindred notebook and to-do-list spirit! Love it when I meet like-minded people, even if it’s only virtually. Thank you for granting us a peek into Sara’s life, Sandra! I agree about the right notebook making all the difference for a new project 🙂 Great interview as always, Sandra! Thanks so much, Laurie & Mina!